Special thanks to Mira Costa College, one of the local community colleges in San Diego. 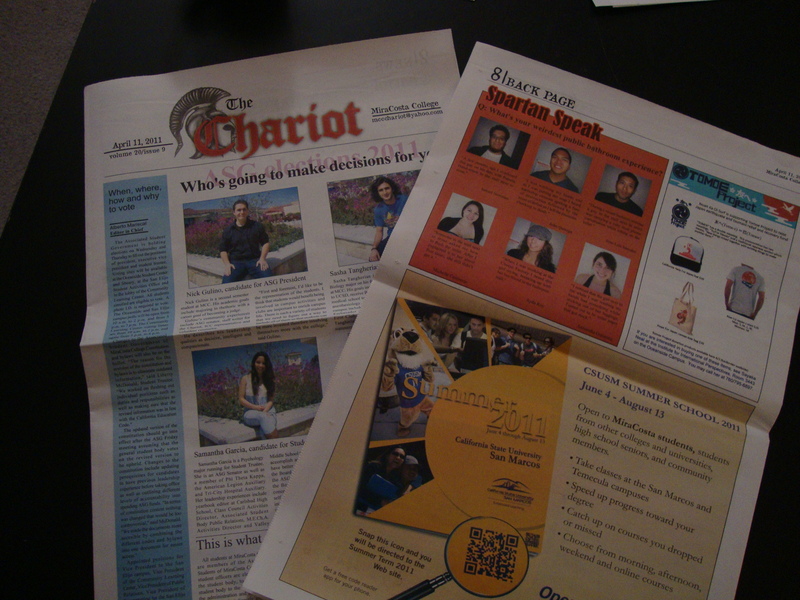 Tomoe Project appeared on their student new paper “The Chariot” on 4/11/2011. 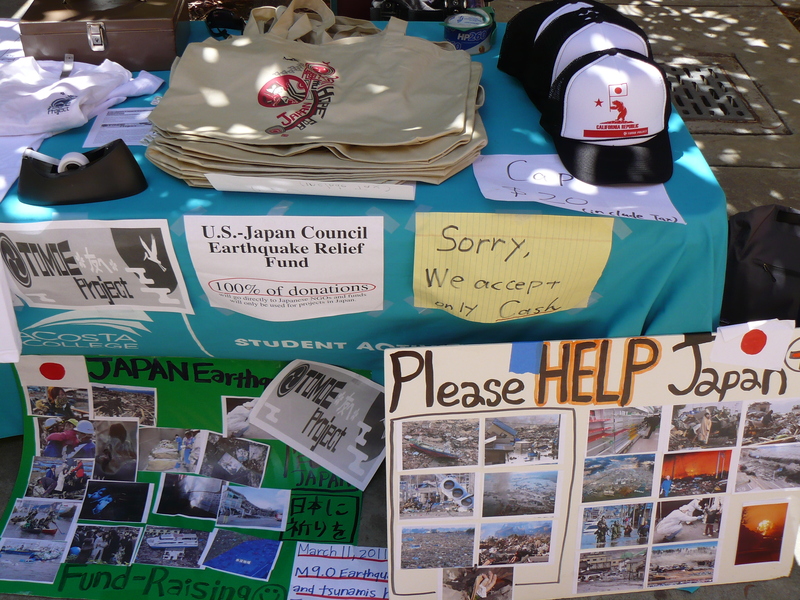 Sayaka from Institute for International perspective and Kazu, an Accounting major international student have been working with us to organize donation at Mira Costa College. Thank you very much, Sayaka and kazu! 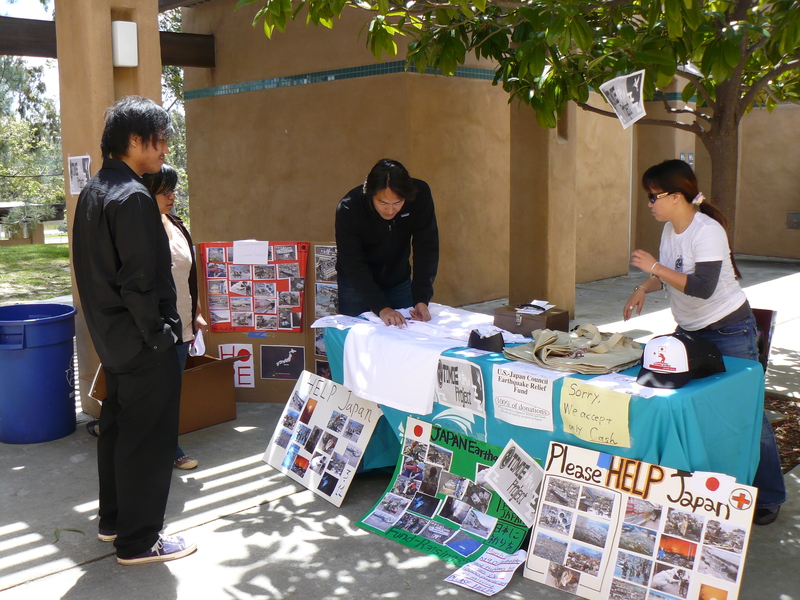 We visited Mira Costa College again on 4/8 when this college hosted a movie event on campus. Many people came to watch a Japanese film by Yoji Yamada, “Kabei, our mother” and supported our project. Thank you very much for your collective as well as individual support, Mira Costa, Sayaka and Kazu! 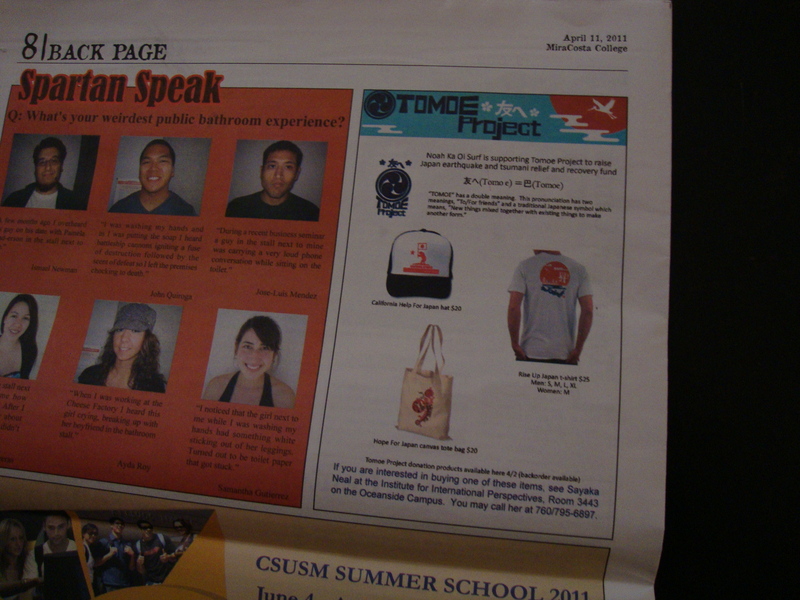 We will visit California State University San Marcos during International Fair on 4/16 11:00-16:00. We will be hosting a table with Japanese students and selling our donation goods! Se you then?? ?